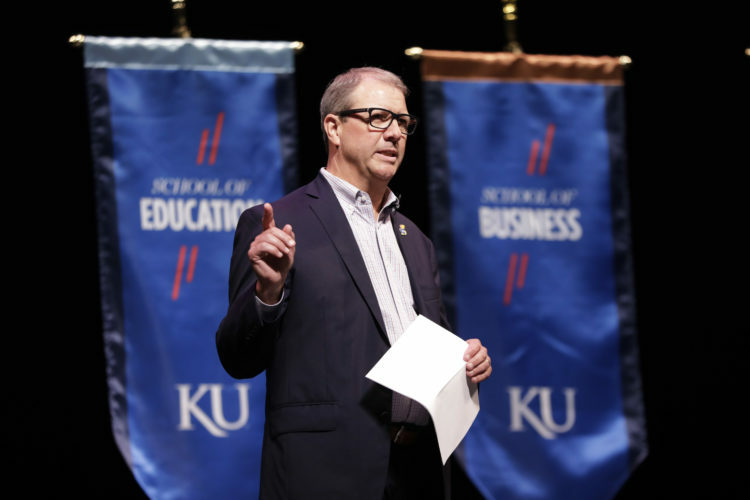 Ames, Iowa — With a grin hardly befitting the two hours of torture he had just endured, Kansas basketball coach Bill Self stepped to the podium inside the Hilton Coliseum media room on Saturday evening after No. 5 KU’s 77-60 thumping at the hands of Iowa State and asked a simple question. 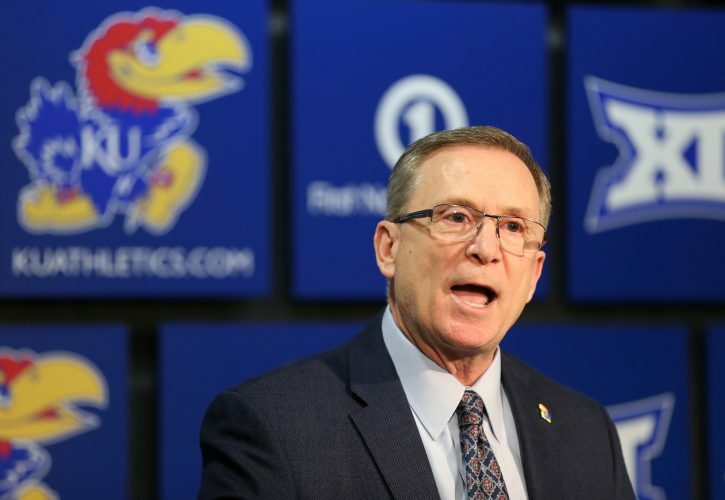 “How was you guys’ day?” the KU coach asked rhetorically after watching his team struggle through 40 face-melting minutes of whoa-that-looks-hard basketball. Neither an answer, nor a return of the same question to Self were needed. The stat sheet said it all. 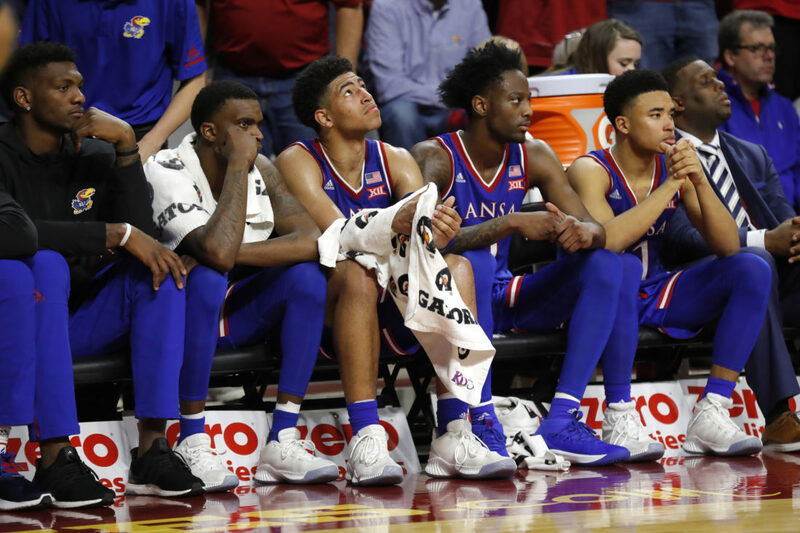 Thanks to a season-high 24 turnovers and a second half that saw Kansas overmatched, outmanned and run over, the Jayhawks suffered their worst defeat since last season’s 18-point loss at Oklahoma State in the regular season finale and limped out of Hilton with more questions than answers. Where was the leadership? Where was the poise? Where was the fire? After an up-and-down, track meet type of affair, all kinds of mistakes and few highlights for either side, Iowa State’s 13-5 run to close the first half gave the home team a 4-point halftime lead and, worse than that, set the stage for a second half that Self and the Jayhawks would just as soon forget. For a decent chunk of Saturday’s first half, those things that Self and his team questioned after the game were there, and the scoreboard reflected that. 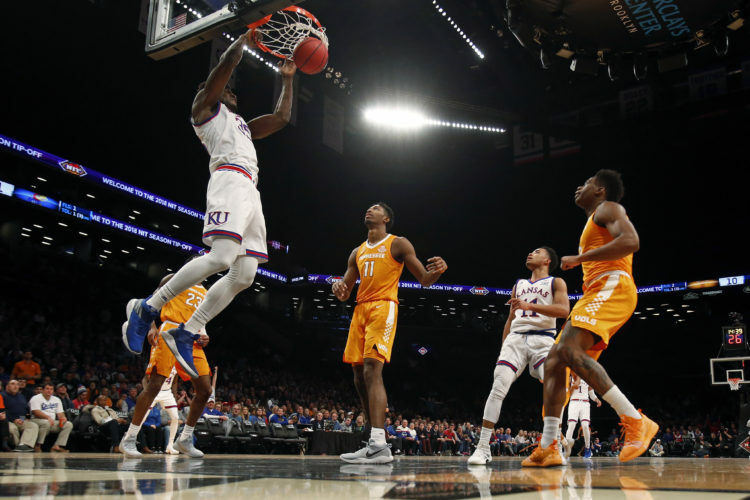 Despite an awful start that featured five turnovers in the Jayhawks’ first eight or nine possessions — three from senior guard Lagerald Vick alone — KU led for 5:55 of the first half, while the Cyclones led for 7:44 and the teams were tied for 6:21. Even while playing poorly in terms of execution, the Jayhawks (12-2 overall, 1-1 Big 12) at least played hard in terms of effort. “Our effort wasn’t bad the first half,” Self conceded. That was about as close as it got to the Kansas coach praising his team, though. And, along those same lines, neither of the two Kansas players made available to the media after a lengthy postgame meeting in the locker room were celebrating any part of Saturday’s effort either. By game’s end, ISU’s total time with the lead had ballooned to 27:44 and the Cyclones’ strong second half, combined with the Jayhawks’ continued struggles, created a mismatch that looked to the eye, in real time, to be much worse than the 41-28 second-half edge ISU (12-2, 2-0) threw up on the scoreboard. And KU’s turnovers just kept coming at an alarming rate. The Jayhawks turned it over a season-high 14 times in that dreadful first half, giving ISU 11 points off of turnovers to build its lead. For perspective, the Jayhawks entered Saturday having turned it over 14 times or fewer in nine of the season’s first 13 games. Beyond that, Saturday’s game total of 24 was five shy of KU’s all-time record for turnovers in a single game (29), which came against Colorado in 1992, four seasons after the statistic began being officially tracked. 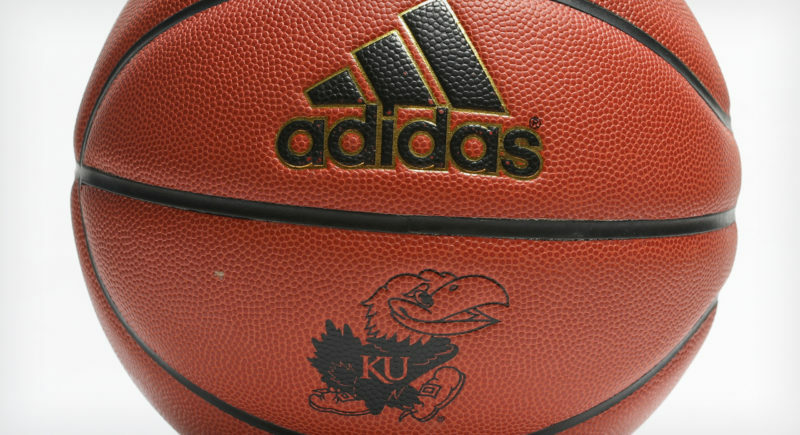 During a stretch in which the turnover-happy Jayhawks actually calmed down enough to get the ball to Lawson (13 points, 12 rebounds on 5-of-11 shooting in 32 minutes) for four consecutive possessions, Kansas found the game was still within reach, at 47-42, after a soft hook and free throw by Lawson with 14:07 to play. But that was as close as the Jayhawks would get again. Instead of watching his team find a way to fight back, Self watched Iowa State close the game on a 30-18 run, with six of the Cyclones’ 13 3-pointers on the afternoon coming during that stretch. The two biggest blows came 36 seconds apart, when ISU freshman Tyrese Haliburton (14 points, 4-of-5 3-point shooting) and sophomore Lindell Wigginton drained back-to-back 3-pointers that pushed the Iowa State lead from 7 to 13 and inspired Self to call a timeout to stop the bleeding. As for Grimes’ individual performance, Self was hardly ready to hit Twitter to brag about Grimes’ production, given the end result.